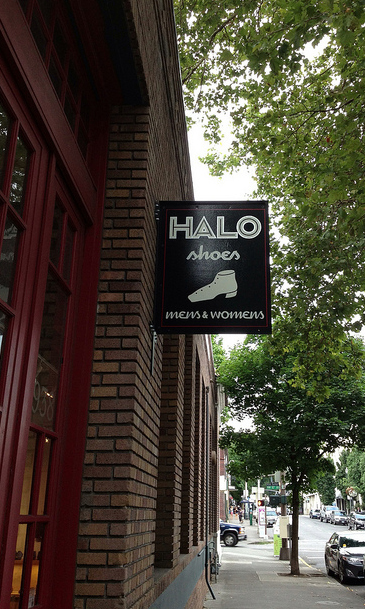 Halo Shoes is my favorite shoe store in Portland, hands down. My first visit was earlier this year – I was actually on my way to visit one of their competitors across the street. Little did I know what I was missing out on. To walk into Halo is to be seduced by one’s senses. The large, airy shop smells like leather, not like chemicals. And the leather just feels so good to the touch. The space is large and well lit with large windows and has a warehouse feel to it. It’s in the historic Otis Elevator building in the Pearl. Part of the fun of shopping at this local store is the great customer service, both from the staff and the owner. The vibe is very laid back – no pushy up-selling, no hovering, but they’re ready to help when you need it. They know their product – one of the new saleswomen was trying on ever pair of shoes so she had a feeling for what they felt like to walk in. They work very hard to make sure their customers are pleased with their new shoes. I had a small problem with a pair of shoes I purchased and emailed them that evening when I realized my mistake. The owner responded to me very promptly, and told his clerks what I needed so when I went into the store the transaction was really smooth. 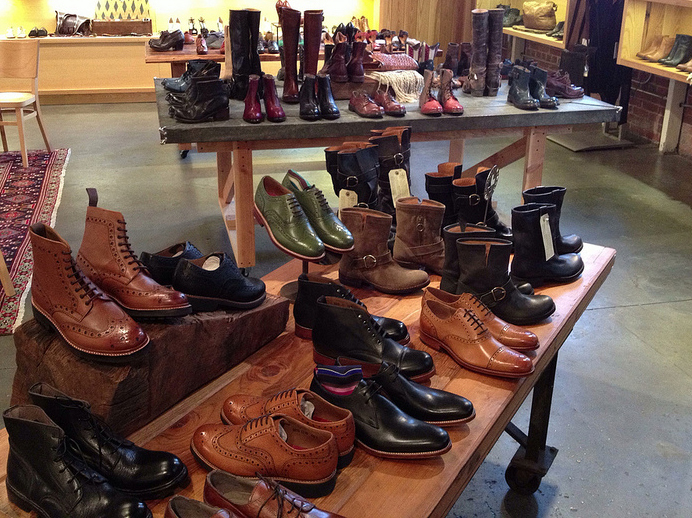 You’ll find shoes you won’t find in every department store in town. The shop specializes lesser known, often European, designers. 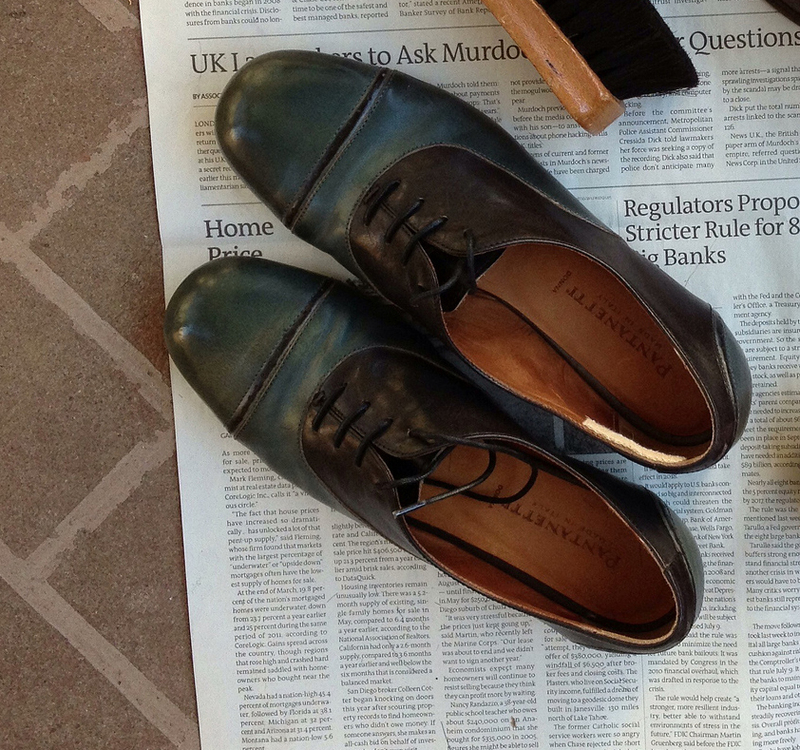 The Italian line Pantanetti are gorgeously handmade shoes in really supple leather. These black and green oxfords are incredibly smooth inside the shoe and fit my feet like a glove. And the socks – Halo carries the fun and beautifully made Japanese brand Antipast socks for men and women. The socks come in creative prints in lovely knits including cotton and wool. I really had no idea how hip Antipast socks were until I came across this WSJ article while doing my research. I like to shop at local businesses and Halo Shoes is the perfect local spot to buy a pair of beautifully made shoes or socks. They also have handbags and jewelry but I’m always too distracted to pay much attention to the non-shoe items. Image courtesy Museum of Modern Art Tokyo. My interest in shoes and in Art Deco fashion led my wandering researcher’s brain to search for Art Deco shoes, and look what I found! Beautifully crafted wooden heels decorated with rhinestones, beads, and colored celluloid – I’m head over heels in “love” with these! [NB: My English teachers would not approve “loving” inanimate objects- apologies to Mrs. Cantrell.] 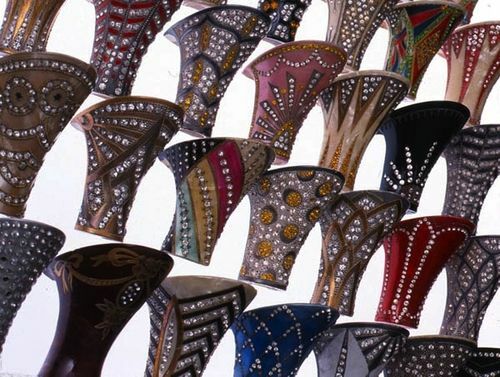 As I searched for more information on decorative heels, I stumbled across the wonderful website Shoe Icons that describes itself as the “First Russian Virtual Shoe Museum.” The website has nicely organized collections of shoes, printed material, and shoe accessories you can browse or search for, and it’s been meticulously documented. The Museum also publishes books, including one called Red Shoe which I’d love to see. I couldn’t find it in WorldCat, alas. The other website I found useful in this research was the Kyoto Costume Institute’s Digital Archives. Its focus is Western clothing and includes a timeline you can click on to see fashions from a particular era. Their archive is sponsored by Wacoal. 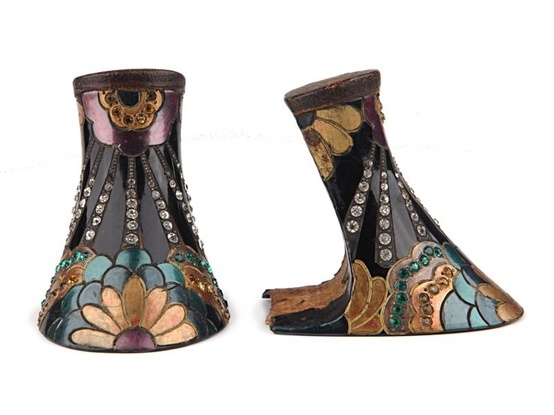 Wooden heels covered with pearlized celluloid, decorated with flowers, painted in bronze, green and violet. Image courtesy Shoe Icons. Dear subscribers – apologies for the email last night that linked to …. nothing. I was having serious technical difficulties. Mea culpa. My usual excitement over fall’s new fashions just isn’t coalescing this year. I had little of my usual fun poring through Vogue and I can’t quite figure out why, though I have my theories which I’ll share in a later post. One bright spot shining through my fashion malaise are the shoes in some of the collections. I see many possibilities this fall -below are a few of my favorites. I like comfortable shoes that don’t look like “comfort shoes.” This is my “shoes I could actually wear, if not purchase” post. Cordovan and mustard monk’s shoes by AGL Attilio Giusti Leombruni. Either color would look great with a black pencil skirt, tights, and a black cashmere sweater. I really like these royal blue tuxedo slippers trimmed in black from Belgian Shoes – they look so luxurious. And yes, they they’d look sharp with the usual black uniform. If you’re interested in handbags, see my friend Catherine’s post A Touch of Fall – Handbags which includes bags with sequins, ostrich skin, and great shapes – have a look! I’ve been fantasizing about finding the perfect pair of Repetto ballerines since they first showed up on my radar a few years ago. slippers for the movie And God Created Women. The store was opened in the late 1950s. Fast forward to today- the French government regulates when stores may hold sales, and it’s only twice a year. As luck would have it (or not, depending on who you ask), I’m here in Paris during the July sales. 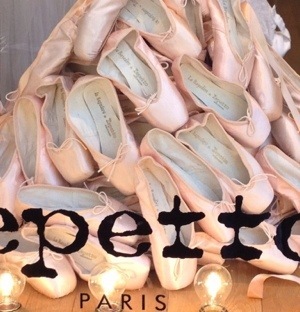 A trip to Repetto had my imagination stirring – red ballerines or navy blue? After getting by the very welcoming guard, I picked up a pair of black leather shoes. The leather was incredibly soft and the shoes were ethereally lightweight. But lightweight shoes means pretty but not good for walking more than a few blocks in these challenging feet. Sigh. It was truly not meant to be, which was confirmed when I saw the price tag. One of my serious weaknesses is shoes. Recently our local shoe store Imelda’s posted a photo of these Jeffrey Campbell shoes on Facebook; I swooned. The classic shape is great, with the nice touch of a REAL wooden heel, and interesting perforations. When I tried them on, I knew these shoes were for me. Just like a child, when I put on a new pair of shoes, I feel like skipping down the street. I’ve been very happy to see that derbys for women are back in style – for my commuter lifestyle and high-maintenance feet, they work really well. It’s ironic that I really like this lace up shoes because my mother made me wear saddle shoes as a little girl, which I despised. But I love wearing derbys for many reasons. First, I’m a walker, so flat, sturdy, comfortable shoes are a necessary part of my life. I can walk quickly to the bus stop and won’t fall flat on my face or knees. (Seriously, I’ve had three nasty spills involving bad shoes. I no longer wear cute mules or Danskos/Sanitas.) And second, I like the juxtaposition of the masculine dress shoe with a feminine skirt and cardigan. And my third reason is that I have narrow feet and finding shoes that fit properly is a nightmare, so being able to make them narrower by tightening the laces leads to a better fit. I’ll expound whine about comfort shoes only being available in wide widths in another post. 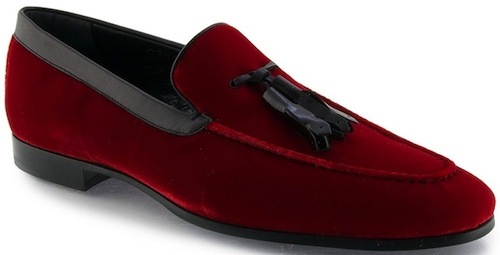 My fascination with lace-up dress shoes goes back to the first pair of shoes I bought for myself – bright red faux patent leather oxfords with a clunky 70s heel. I loved those shoes till I wore them in a Walk-A-Thon and got terrible blisters. I have since owned a number of lace-up shoes and always wear them out, rather than tossing them in the Goodwill bin because they hurt my feet. While researching this post, I was trying to figure out why some editors call this type of shoe an “oxford” but others call it a “derby.” Much information (or disinformation) is on the web, but Steve Mitchell’s Modern Gentleman blog has a great post about the differences. Shoes with the holes for the laces built into the shoe are oxfords, while less formal derbys have sewn-on flaps. Mr. Mitchell’s article has photos that illustrate the difference more succinctly than I can. A brogue, from what I can tell, is a shoe that has perforations, or brogueing. So a derby, oxford, monk shoe, or ghillie could also be brogues. 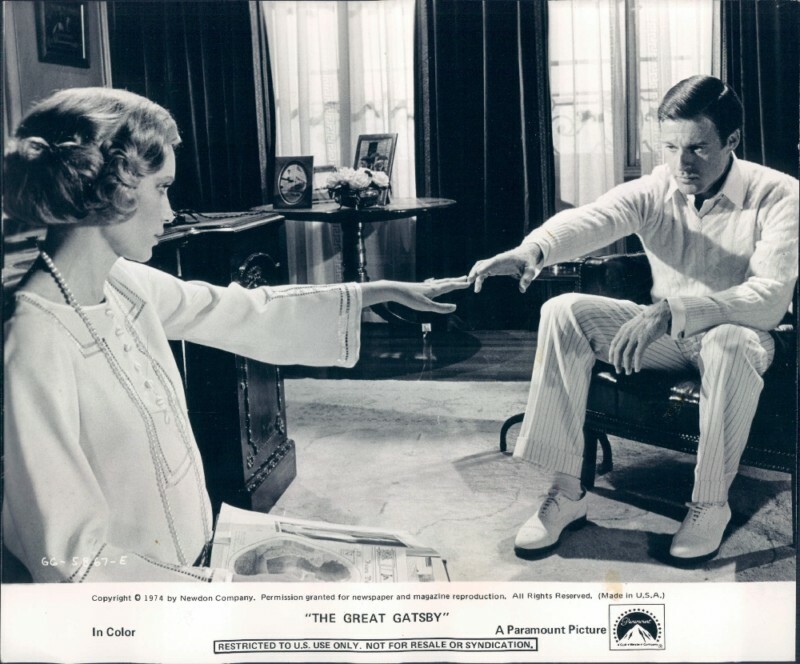 Would you (or have you) worn white or cream colored derbys? I love shoes. 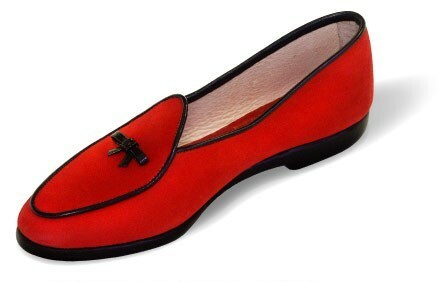 I really love red shoes. 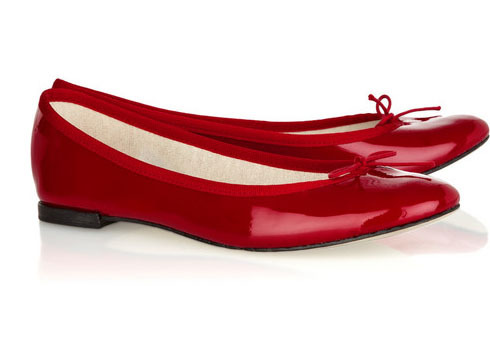 The first pair of shoes I bought with my own money were red patent leather oxfords. Alas, I did not win the recent Mega Millions lottery, so I won’t actually buy any of the ones pictured below but I like them AND they all look like I could actually walk in them. My dream is to have a pair of perfectly fitted bespoke shoes made but I’d have to either win the lottery or not travel for a year. Priorities, indeed. 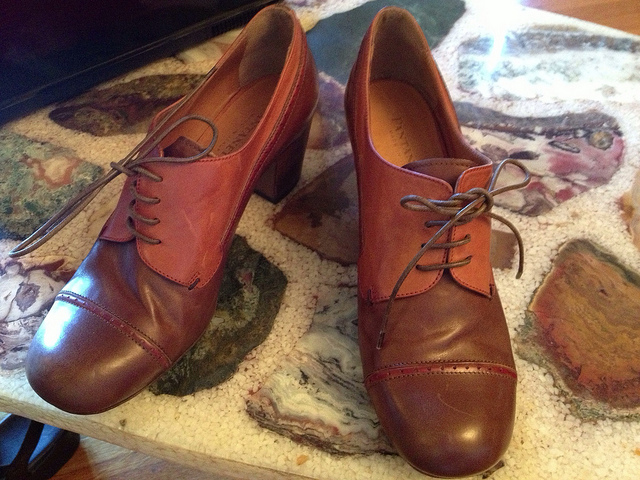 These Carmina “Oscaria” leather oxfords are beautiful. Made in Mallorca, these are first on my list. I love the color of the leather. Repetto ballet flats would be fun for summer. They have very little support so I doubt they’d be good to actually walk in.